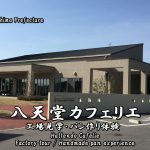 There is the factory where adults can enjoy in japan!! 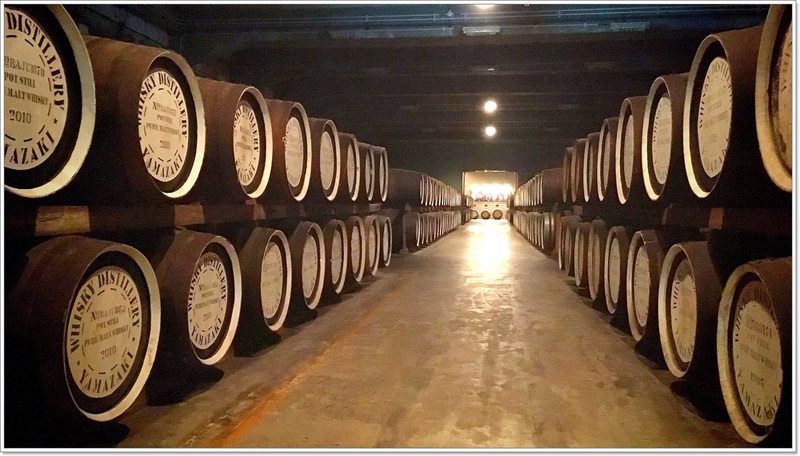 The first of the visit to social studies that adult can enjoy is “Suntory Yamazaki Distillery”. 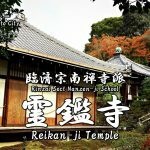 The place called the origin of the Japanese whiskey is in Yamasaki of Kyoto. 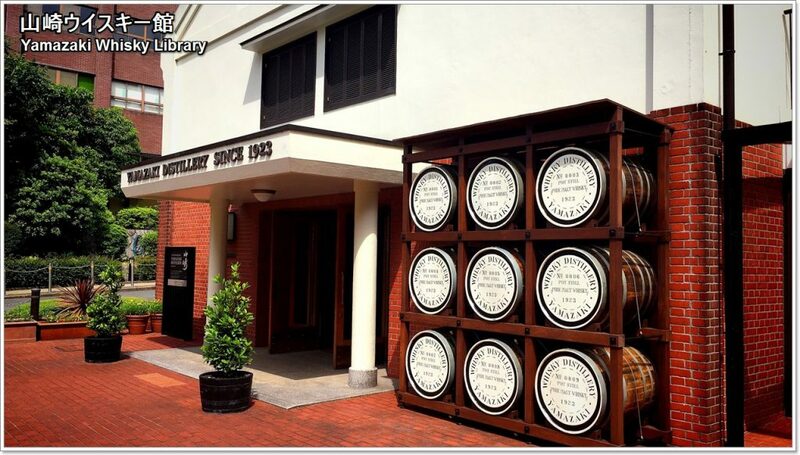 Suntory Yamazaki Distillery is a distillery of Japan’s first single-malt whiskey. 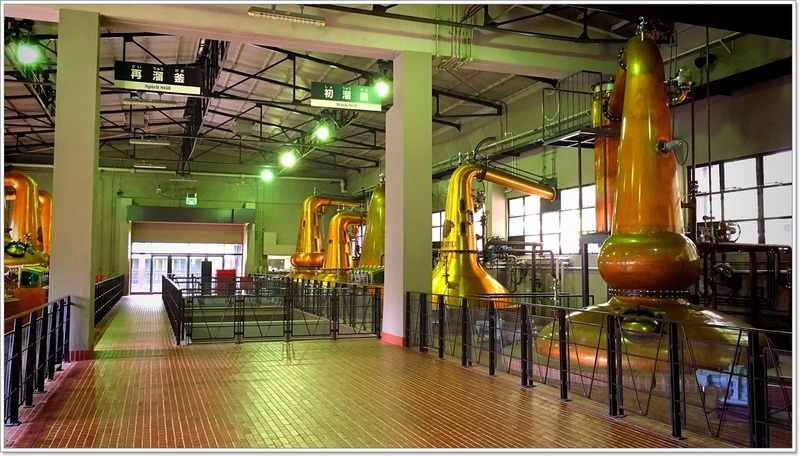 This distillery hold daily tours of the manufacturing process of the whiskey. 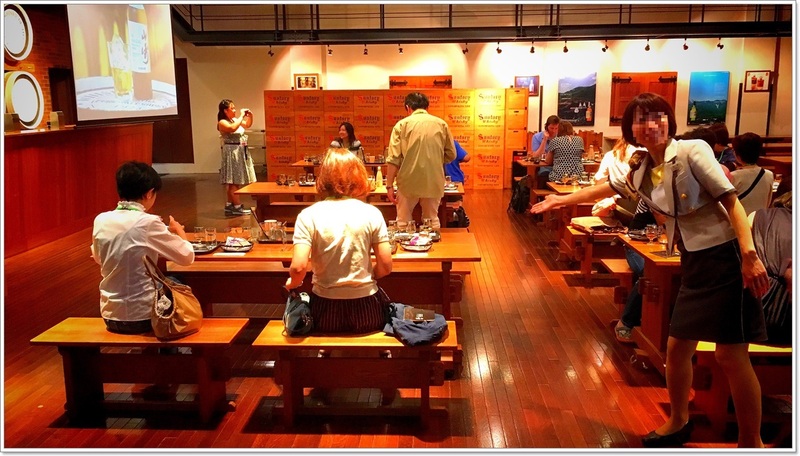 Because this tour supports English, Chinese, French, it is very popular among the tourists from the foreign countries. 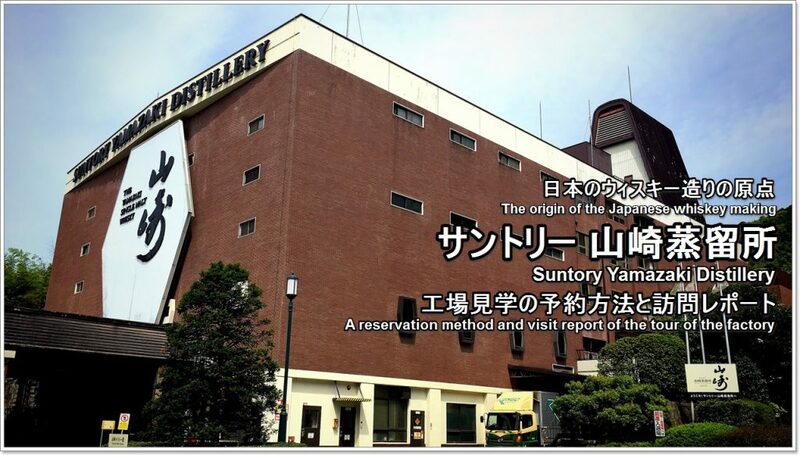 In addition, Suntory Kyoto Brewery (Beer manufacturing plant) is near this factory. 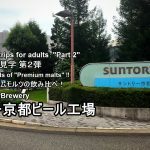 Suntory Kyoto Brewery : Reservation method and visit report of factory tour. 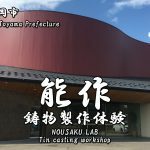 Factory tour is possible to book from 2 months ago. Suntory Yamazaki distillery holds two types of tours. 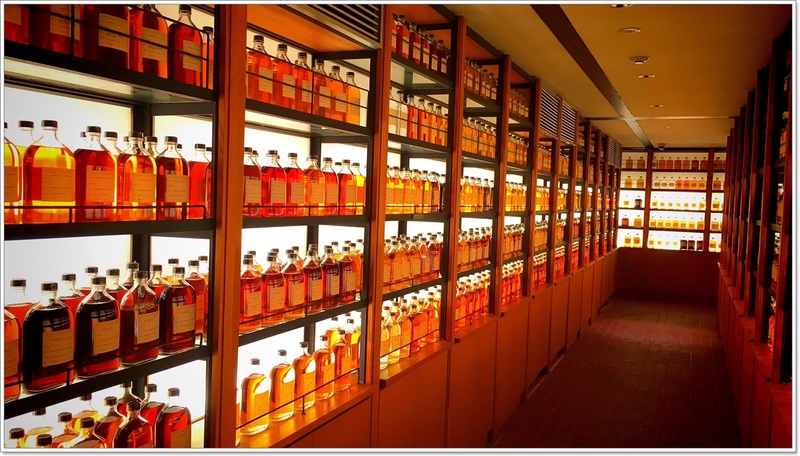 Yamazaki whiskey library tour is free, but you cannot observe the process of manufacture. You can observe “Yamazaki whiskey library” freely. 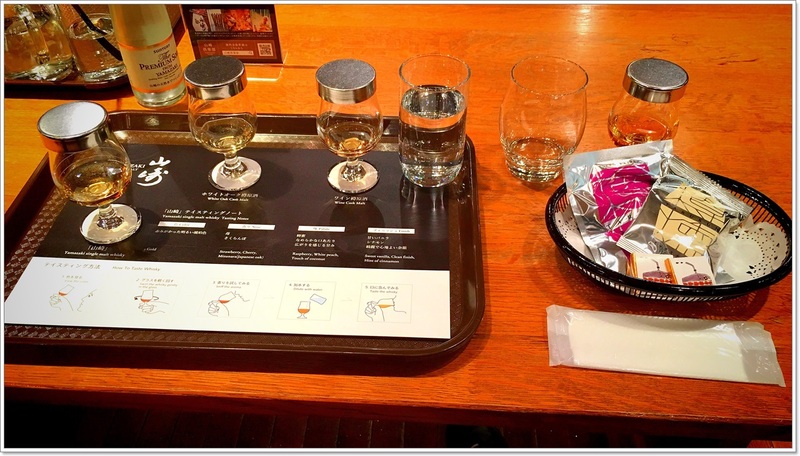 I went to Yamazaki distillery tour this time. 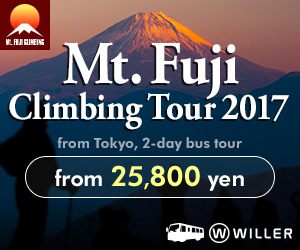 Both of the tour must be booked in advance. 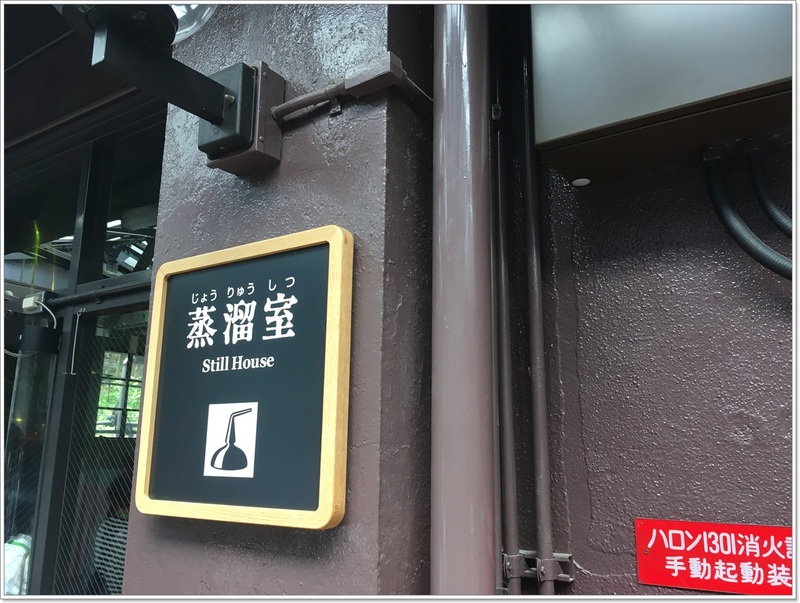 Let’s make a reservation by all means. 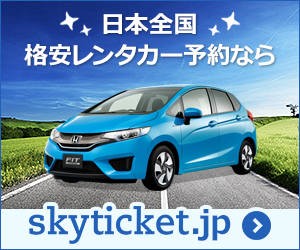 You can perform the reservation on a telephone or the Internet. 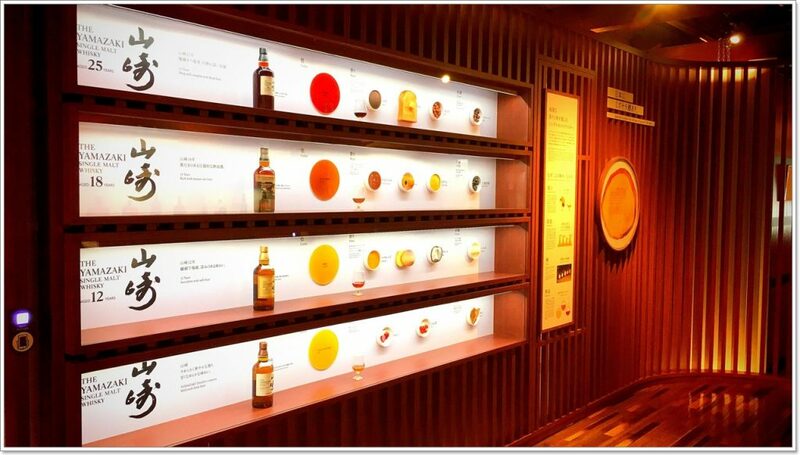 Yamazaki whiskey library is a facility that it is possible to know the history of whiskey. 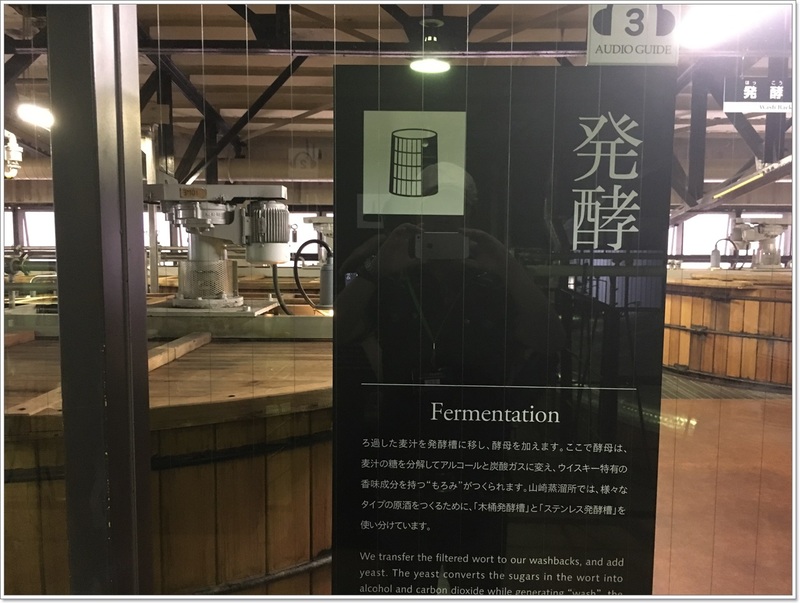 In addition, there is a tasting counter at 1F of this facility. 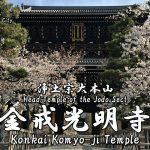 Do the reception at the entrance. The meeting place of the tour is 2F of the Yamasaki whiskey library. 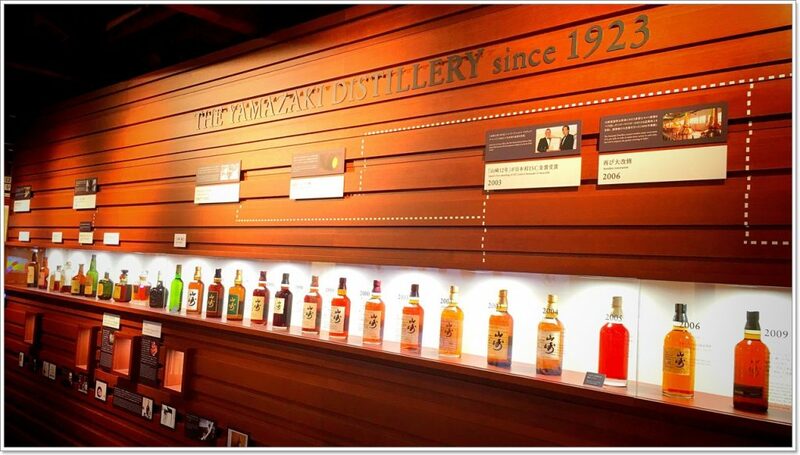 It is the entrance of Yamazaki whiskey library. 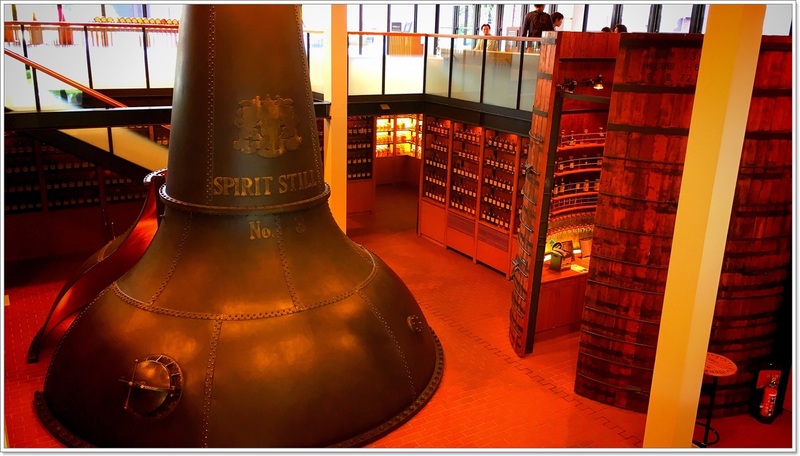 The interior of the building is just like a museum of whiskey. 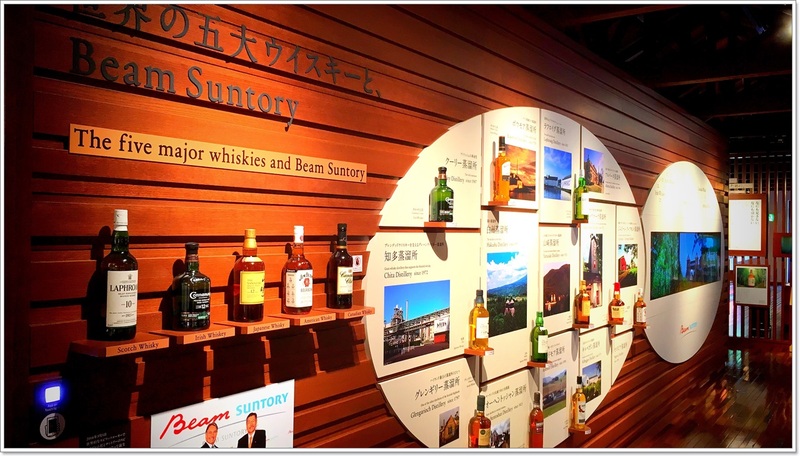 A variety of whiskey are on display. 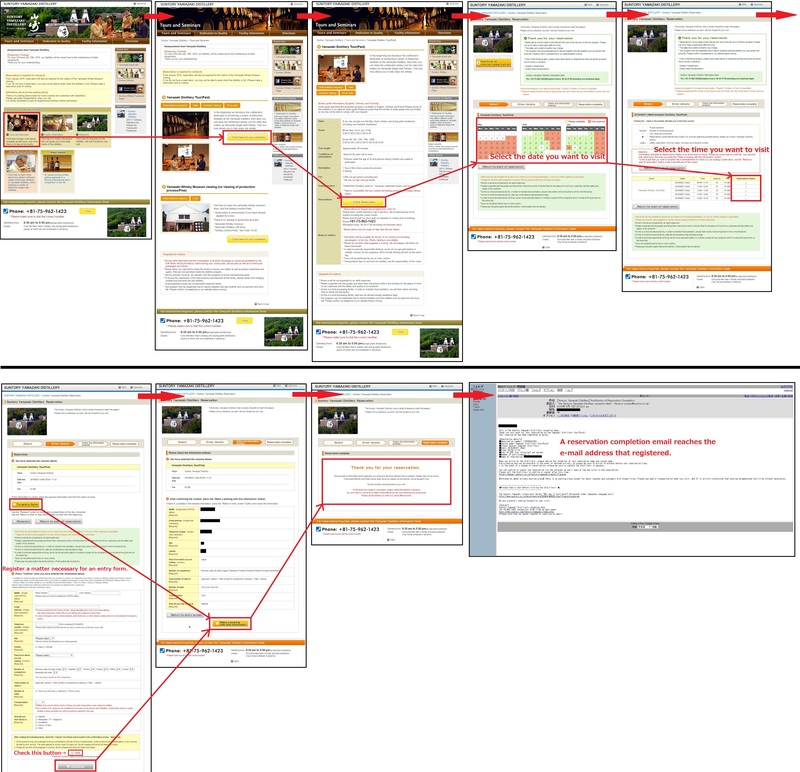 Difference in hue and flavor by the difference of the storage period. The five majow whiskies and Beam Suntory. There is a tasting counter in 1F of facilities. 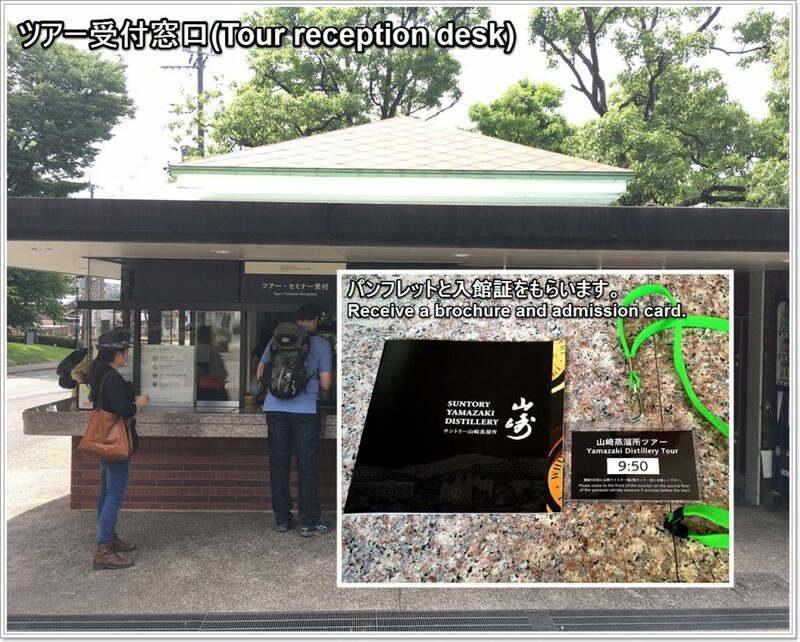 There is also a terrace seat. 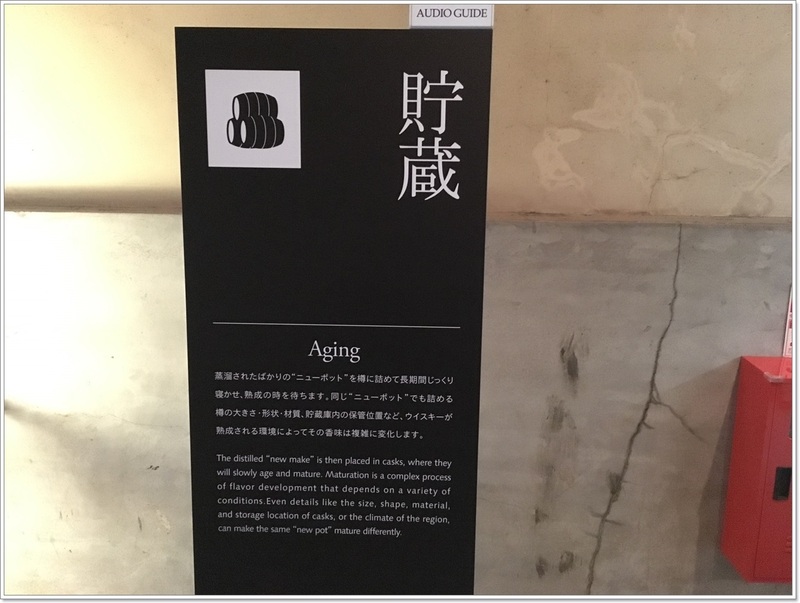 It is a tour report of the factory tour. 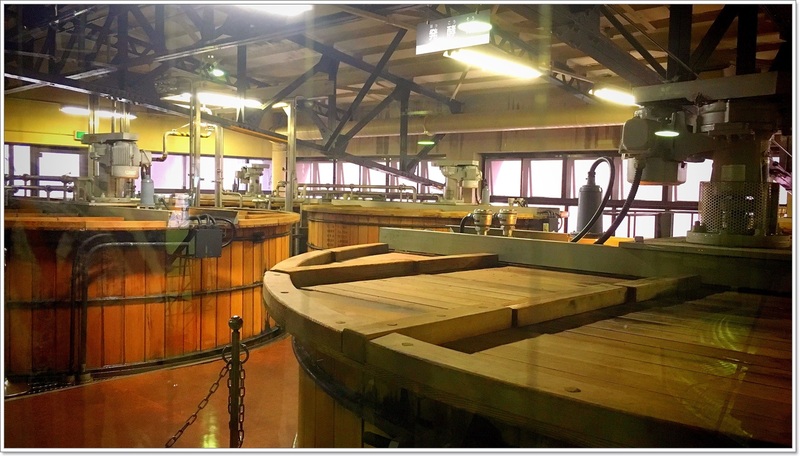 Whiskey manufacturing process is divided into four steps of “Mashing”, “Fermentation”, “Still”, “Aging”. You can’t do recording and video recording, but can take a picture. There are two types of tank of wood and stainless steel. The copper distillation pot is called “pot still”. 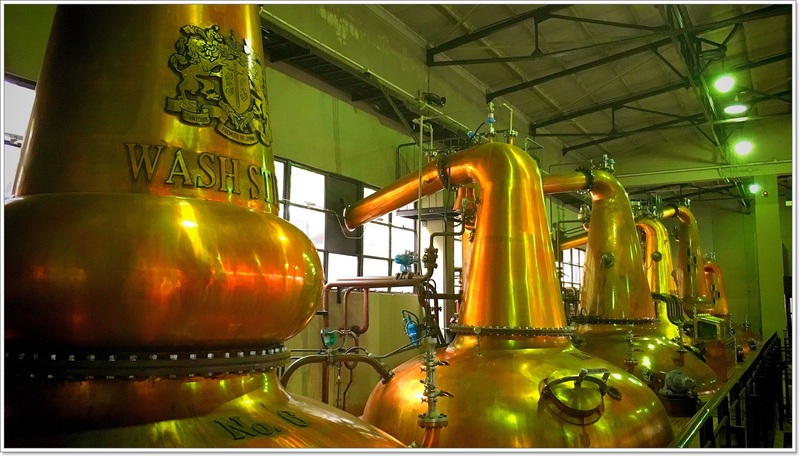 The right side is “Wash still (The first distillation)”, the left side is the “Spirit still (The second distillation)”. 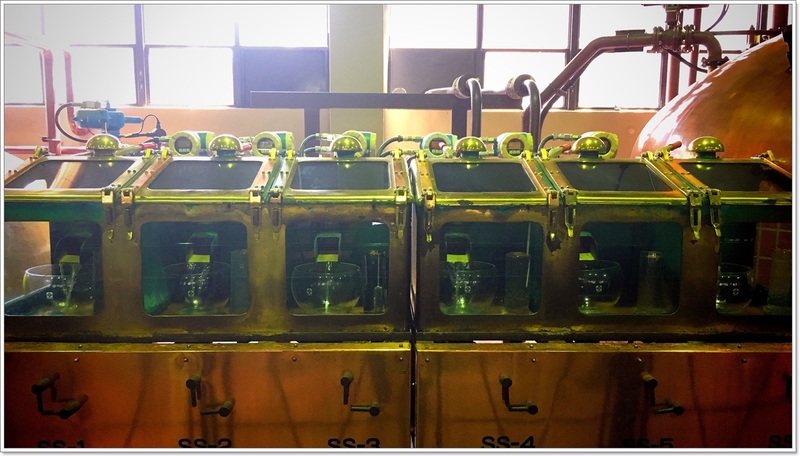 Distilled whiskey comes out steadily. The storehouse is filled with the smell of whiskey. 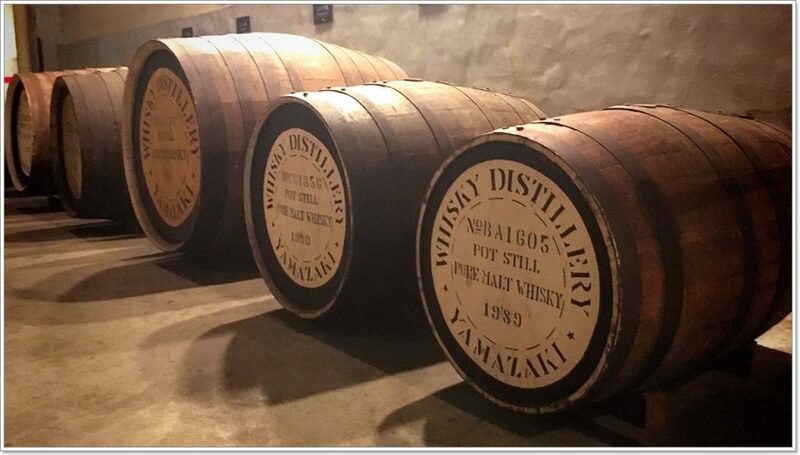 There are many types of barrels. 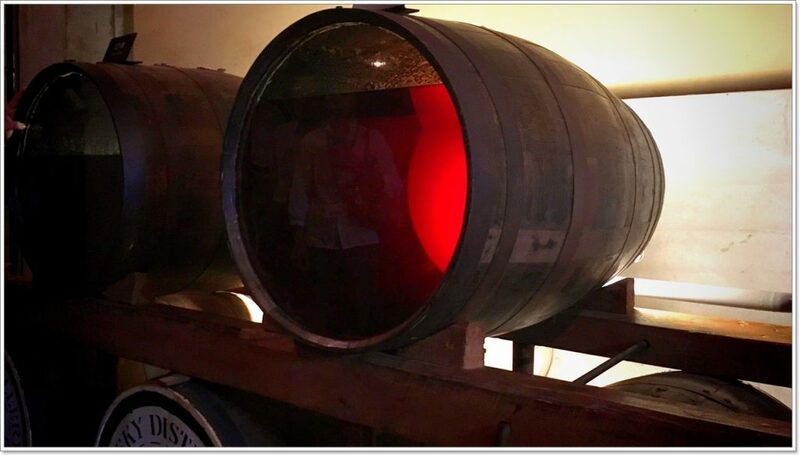 You can also watch the contents of a fermenting barrel. 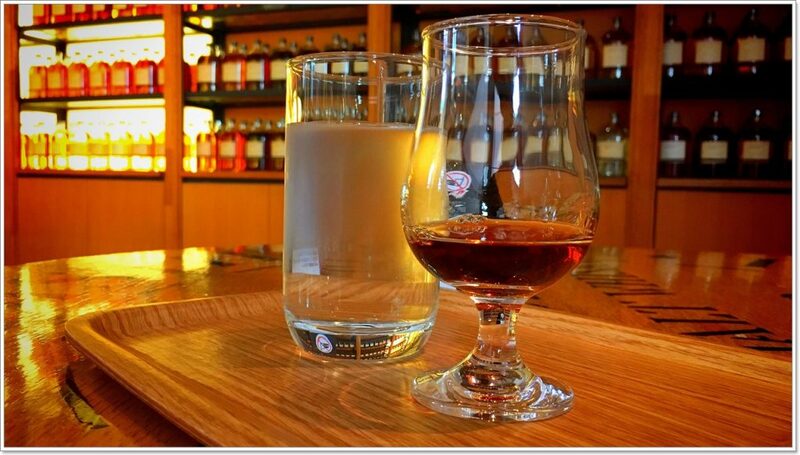 When a visit of all process of manufacture is finished, you perform a tasting of the whiskey in exclusive tasting space. 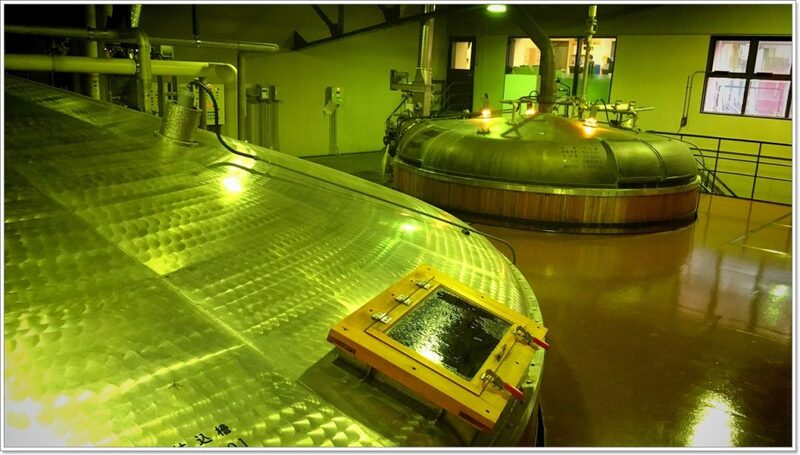 All the visits of the process of manufacture are the end. 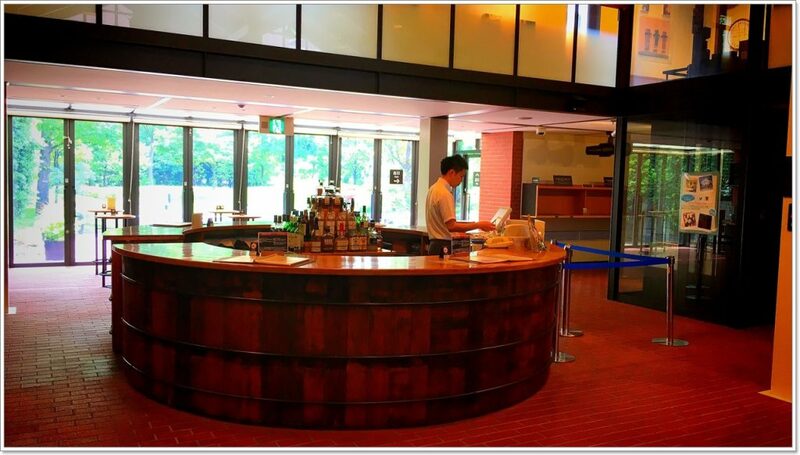 If there is an admission card, you can use Yamasaki whiskey library freely on that day. There is still untouched nature in the back of the Suntory Yamasaki distillery. 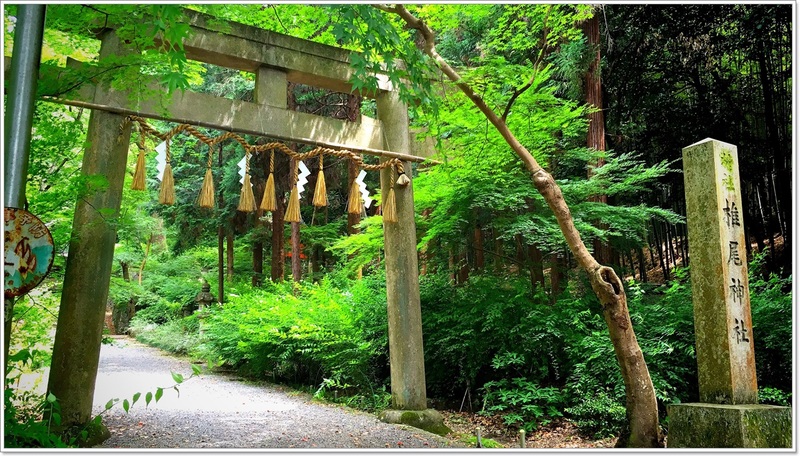 And here is the famous place where pure water springs out. 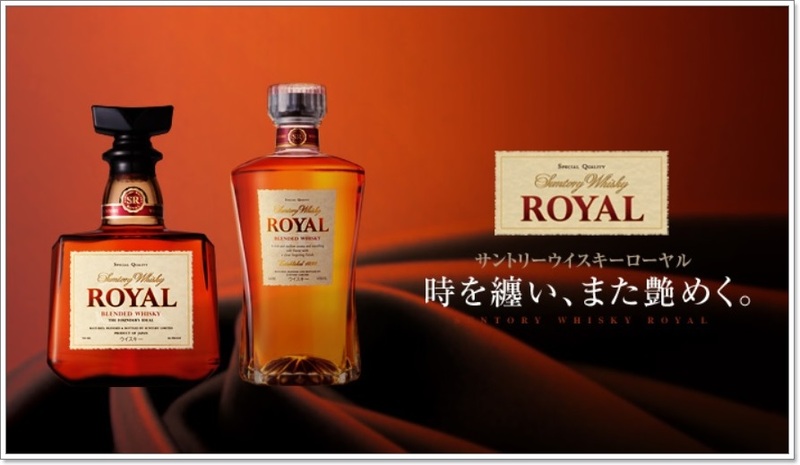 The torii of Shiio Shrine in the back of the distillery designs the Suntory ROYAL’s bottled cap. 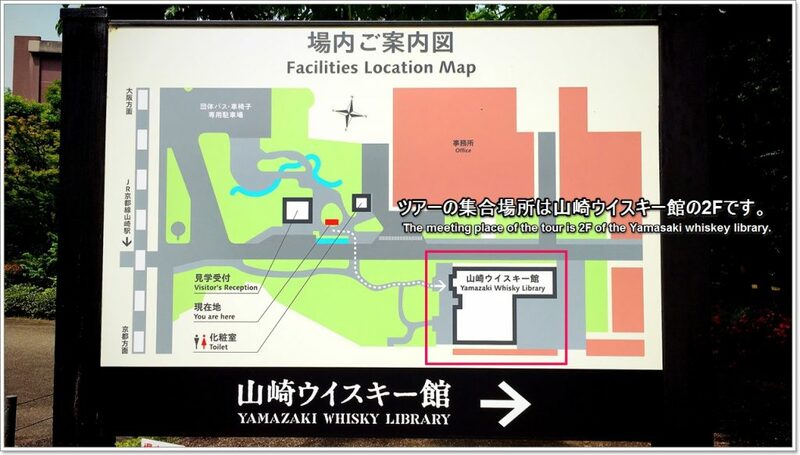 A guide to Yamazaki Distillery in Yamazaki in Kansai region. 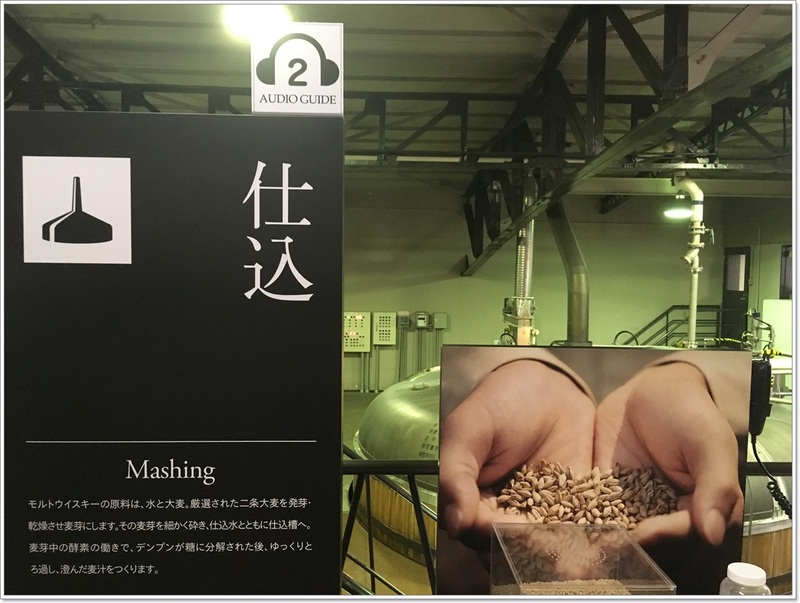 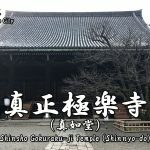 Learn about visiting the distillery, about the distillery's dedication, about how to enjoy it, and about Yamazaki Whisky Museum. 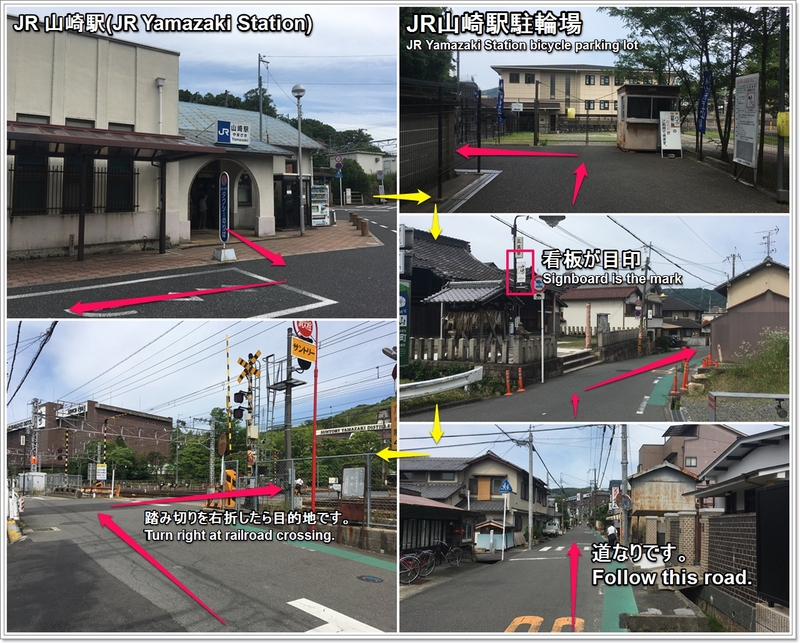 Nearest station of Suntory Yamazaki Distillery is the JR Kyoto Line Yamazaki Station.